Christian Chukwu is a former Coach of the Super Eagles and former Captain of the Green Eagles. So, you can be sure he knows what he is saying when he analyses the current Eagles. 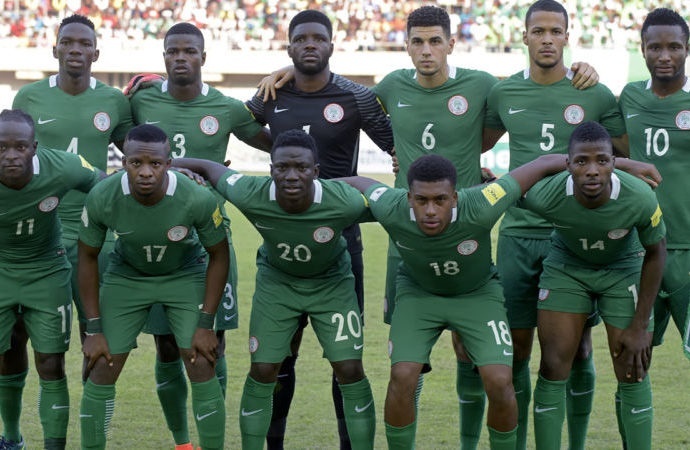 The one-time defence marshal, on Tuesday gave the assurance that the Super Eagles of Nigeria would defeat South Africa’s Bafana Bafana in their own home. Chukwu said that the Eagles were not prepared the last time South Africa visited but with their recent performances, they have proven to be more prepared than South Africa. He noted that Nigeria’s victories over Libya in the first and second legs of the African Cup of Nations (AFCON), was a testimony of their preparedness. “The Super Eagles must let South Africa know that they are now more prepared than before. “They must grab their three points from there without any doubt because they are good now,” Chukwu said. The former coach urged the Super Eagles to go all out for the three points which he said was imperative for their qualification. Nigeria would meet South Africa for their second leg AFCON qualifiers on Nov. 17, in South Africa. South Africa had beaten Nigeria 2-0 in Uyo on June 10, last year in their first leg.